As a handmade business, it's important to be aware of the days in the year where sales can spike. 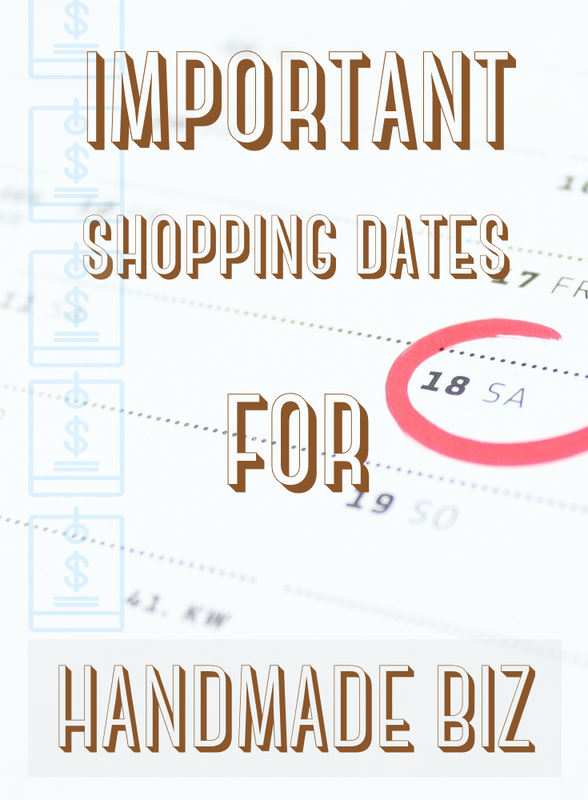 Being aware of these dates means you can prepare and manufacture enough stock to avoid the dreaded "backorder" scenario that can put many of your potential customers off. Knowing these dates also means you can target your online marketing to give your products the best possible chance of being noticed. This one is a great opportunity for handmade sellers and can be a great pick up for sales after a slow January. Promoting your most giftable products along with creating a sense of urgency towards purchasing can help increase your sales around this date. Online shopping for Valentine's Day peaks on the 5th and 6th of February, so ensure your products are made and listings are updated before these dates. In 2016, Mother's Day is the 8th May in the US and most other places in the world. In the UK, the date to remember is the 6th March. This shopping holiday is second only to Christmas in sales for most e-commerce businesses so it's definitely worth being prepared for this one. Online shopping for Mother's Day peaks on the last week of April (US) / last week of Feb (UK), so ensure your products are made and listings are updated well before these dates. Father's Day is the 19th June 2016, apart from Australia in which is 4th September 2016. Online shopping for Fathers's Day peaks on the first week of June (US) / last week of August (Aust), so ensure your products are made and listings are updated well before these dates. In 2016, Black Friday falls on November 25th. It's the date that marks the start of the of the Christmas Shopping Season, so this one is a really important date to remember as it is a great way of testing if you are fully ready for the Christmas rush. A relatively new date in the calendar, but one to be ready for as an online retailer: this is the Monday immediately after the US Thanksgiving holiday and is when a huge number of people jump online and start purchasing. Free Shipping Day is a coordinated one-day, online-shopping event in which thousands of merchants participate and offer free shipping with delivery by Christmas Eve. Any online merchant can take part, so if you can wear the shipping cost for a single day of sales, then it's worth considering getting involved.